We know that White-water rafting is not for everyone and there are many out there that want to see the river and rapids, but not risk a potential flip and swim! 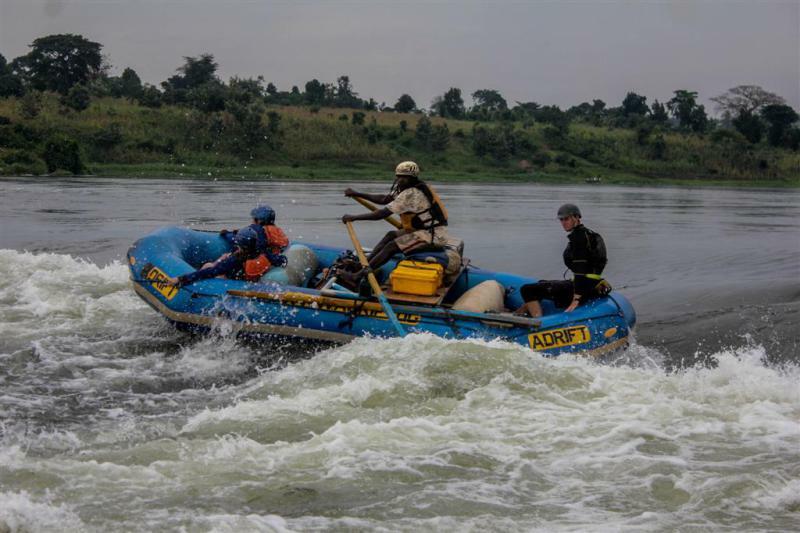 Our White-water introduction is perfect for you and will take you through some of the most scenic parts of the river Nile, allowing you to get up close to some of the largest rapids and falls on the Nile, without the worry of ‘going under’. 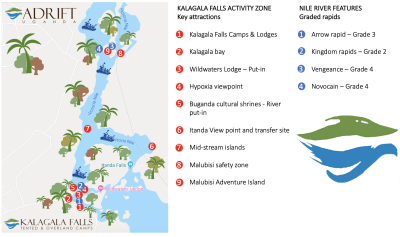 You will enter the river just below Kalagala Falls and next to Wildwaters Lodge. Here you will be able to drift next to some of the most conserved riverine forests on the Nile and be able to learn about the river flows, currents, eddies and water features that create some of the most renowned rapids in the world. Just below Wildwaters Lodge you will be able to view the complex and enormously exciting ‘Hypoxia’ rapid. This rapid is almost inaccessible and only from the river can you enjoy its explosive character. With a couple of river features to follow, you will then pass by the Buganda Kingdoms sites of cultural and national importance and then drift pleasantly down towards the base of Itanda Falls with your guide paddling you and teaching you about our river operations, safety and how we have guided thousands of people safely on the River Nile for the last 30 years. After this and arriving at our Malubisi Adventure island, located between two Grade 4 rapids called ‘Vengeance’ and ‘Novocain’ you will disembark on the island for a BBQ and talk that will introduce you to the 2 rapids and allow you to view rafters and kayakers in action on the rapids. This island allows you the choice of 2 options, you can either raft with your guide through ‘Vengeance’ or you can portage (walk) through the island and meet the team below the rapid! The choice is yours!